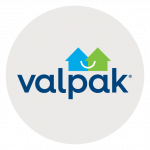 There’s ample room in Valpak of Southern New York’s Blue Envelope for all types of inserts – coupons, cardstock, circulars, unique imprinting and more. And it’s that shared marketing concept that drives down costs and makes our direct mail services affordable to businesses of all sizes. Target the neighborhoods best for your business and choose how often you mail: monthly, annually, seasonally or for specific occasions. More than just expanding your company’s visibility in the crowded world, Valpak of Southern New York will help you convert views to clicks, as well as increase calls and coupon redemptions. Our performance tracking identifies KPIs (key performance indicators) so you can focus proportionally on what works well. Our call tracking service provides answers about where your phone call leads originate, when they arrive, how they’re handled and what becomes of them. And our performance dashboard gives you easy access to all the information needed for positive ROI decision-making. No matter what sector or sub-sector your business fits into, Valpak of Southern New York can measurably increase your visibility and help you reach your target demographic. Select the neighborhoods you want to target and we’ll help you build your business in places such as Yonkers, White Plains, New Rochelle, Mount Vernon, Scarsdale, Port Chester, Larchmont, Rye, Pelham and other communities. For specific dates and coverage, contact your Valpak of Southern New York representative.